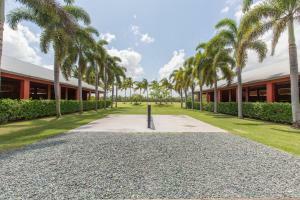 The Acreage is a spectacular area made up large equestrian estate homes in South Wellington near and next to the Polo Fields and the Palm Beach International Equestrian Center. 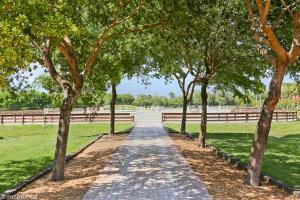 These homes feature incredible upgrades and boast the absolute best in the equestrian quarters. The homes in the Acreage are all very unique and vary in style and floor plans. Most of the homes in the Acreage feature upgrades like stainless steel appliances, beautiful crown molding, vaulted ceilings, energy saving lights, huge master suites with sitting rooms and his and her master baths, resort inspired pools, lavish summer kitchens and spacious lanais. These homes sit on many acres and include exquisite barns with 20+ stalls, tack & feed rooms, laundry rooms, utility areas, covered and exposed practice rings, large paddocks and convenient guest homes. This neighborhood has horse trails, scenic biking trails and picturesque jogging paths that intertwine throughout the entire neighborhood. Wellington is considered one of the best areas in Palm Beach County and was voted in the "Top 100" Best Places to Live by Money Magazine. This unique equestrian town features incredible restaurants, top of the line dining, a vast variety of cultural venues and is only a short drive to numerous pristine Gold Coast beaches. Wellington benefits from having busy urbanized surrounding towns like West Palm Beach, Ft. Lauderdale, and Miami that allow Wellington to remain calm but convenient to all of life's necessities. 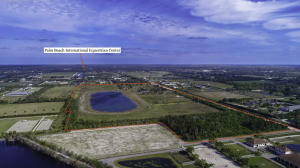 Information in regards to Wellington real estate and Acreage homes for sale or other listings may have come from a cooperateive data exchange service. All rights reserved. Information deemed to be reliable but not guaranteed. The data relating to real estate for sale on this website comes in part from a cooperative data exchange program of the multiple listing service (MLS) in which this real estate firm (Broker) participates. Listing broker has attempted to offer accurate data, but buyers are advised to confirm all items. We provide all information about Wellington homes for sale and Acreage real estate or other listings as is with absolutely no warranties. This site will be monitored for 'scraping' and any use of search facilities of data on the site other than by a consumer looking to purchase real estate, is prohibited. Feel free to contact our agents to find a great Acreage Wellington specialist. Acreage in Wellington is really a wonderful location. The Wellington location is amazing. But, if this isn't the community for you, you might like one of the other local communities like Talavera or Wellington View or Eastwood that are located here as well.